Oster is a long time client of Vento, and the trust built over the years has ranged from individual projects, to brand language efforts, and even working with their international division as a designer in residence for extended periods. 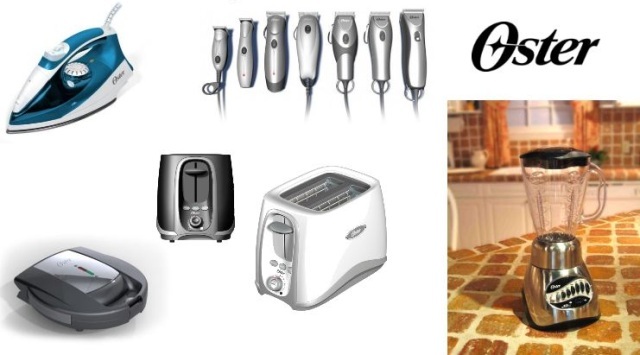 Shown here are several projects, from a steam iron for India, to the professional clipper line, the inspire toaster and core blender for global markets, and a sandwich maker for Spain. According to the director of design, Augie Picozza, "Vento [offers] creative insight, new ideas, appropriate style driven, good technical capabilities, quick to 3D and good visualization, good collaborator, multiple options provided, effectively priced and local for quick response and face to face interface." Copyright © 2011 Vento US, Inc. All rights reserved. Some projects developed by Mike Page while working for other companies.